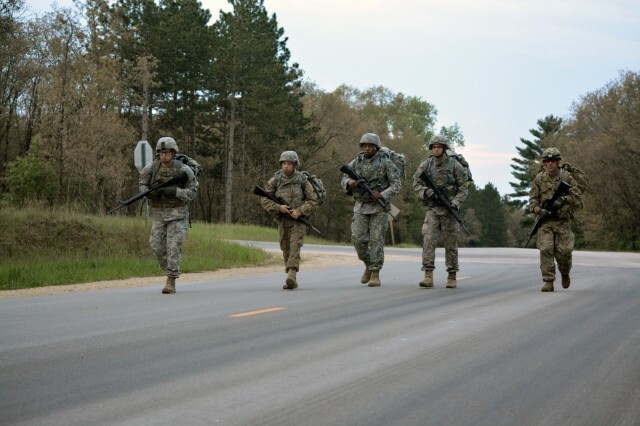 FORT MCCOY, Wis. -- Four noncommissioned officers from U.S. Army Sustainment Command and one from Tank-automotive and Armaments Command Life Cycle Management Command competed in ASC's Best Warrior Competition at Ft. McCoy, Wisconsin, May 22-26. Sgt. 1st. Class Benjamin Bryan, 402nd Army Field Support Brigade, ASC, Hawaii; Sgt. Henrique Magalhaes, Headquarters, ASC, Illinois; Sgt. Brenton Scott, HQ, ASC, Illinois; Sgt. Andrew Dycus, 401st Army Field Support Brigade, ASC, Kuwait; and Sgt. David Pearson, HQ, TACOM Life Cycle Management Command, Michigan, gathered from around the globe for a chance to claim the title of ASC's NCO of the Year. Of the five NCO's, one will advance to the Army Materiel Command's Best Warrior Competition slated for July 11-15 at Camp Atterbury, Indiana. 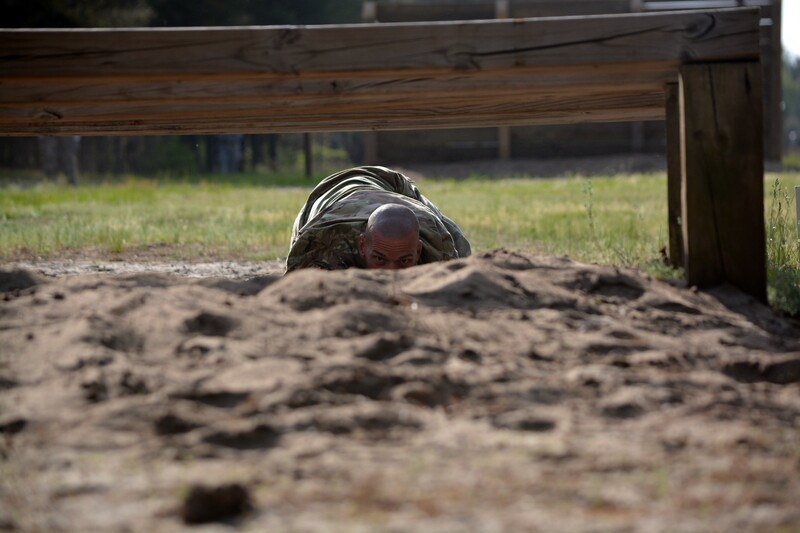 Participants endured three days of rigorous events designed to push their limits and instill in them the mental toughness necessary to mold the Army's next generation of leaders and maintain a level of intestinal fortitude that is passed down through generations of Soldiers. Sgt. Maj. Lawrence Williams, ASC G3 (Operations), described the course as both physical and mental. "At some point they have to go beyond what they think they can do," he said. "It's different when you're at the dining facility talking about it. When you get out here we see what you're really made of. 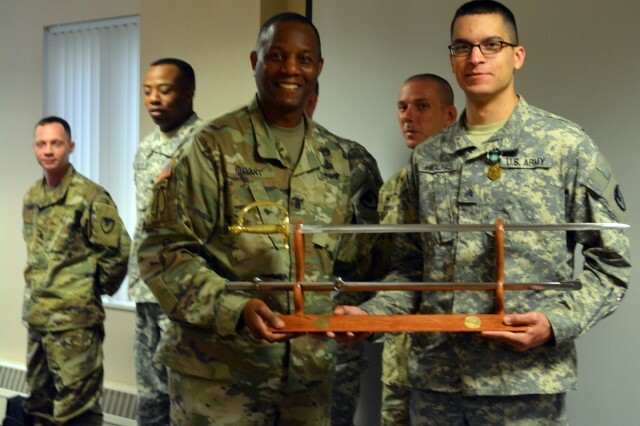 "The purpose of the competition isn't just to find the best warrior in ASC, but to develop a new generation of NCO's who can lead by example and pass on what they're learning here to a new generation of guys coming up. 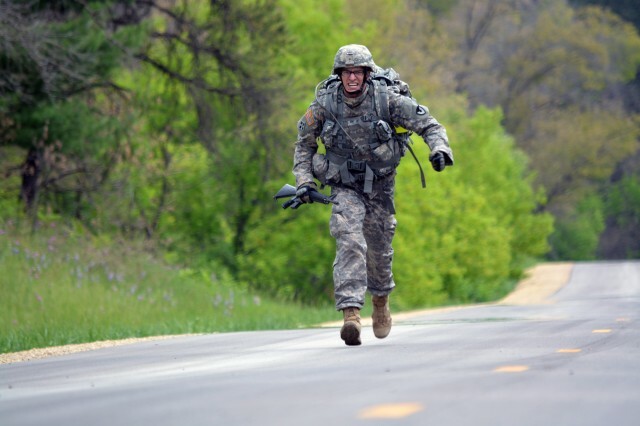 "The Best Warrior Competition achieves this by changing how Soldiers look at themselves through putting them to the test so they can see how far they can really go." The three-day competition began at five o'clock each morning and on average the Soldiers walked, ran, and ruck marched twenty miles per day in full gear, usually including a 35 pound ruck sack. On the first day, the competitors were required to pass two physical fitness tests consisting of push-ups, sit-ups, and two-mile run. 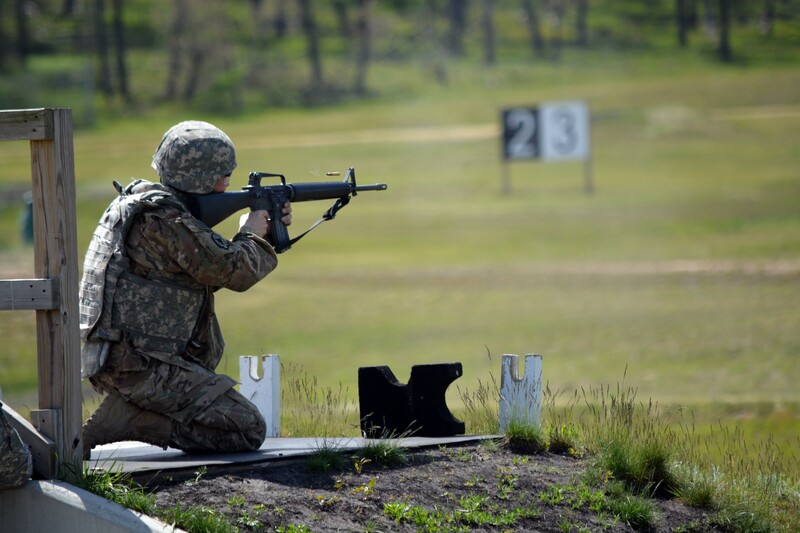 The fitness tests were followed by a written test, marksmanship qualification, and a 16-station obstacle course. 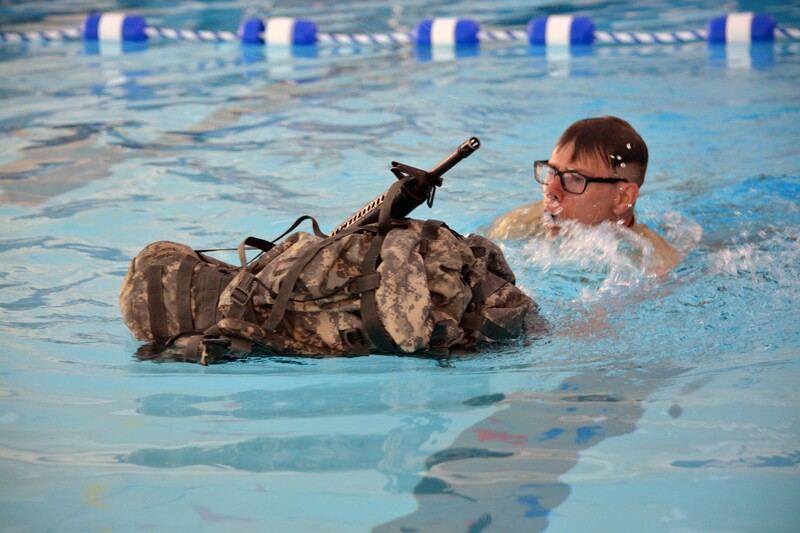 The second day included a 12 mile forced-march, a land navigation course, and a "mystery event" in a pool where the NCO's were challenged to swim its length with a casualty, ruck, and rifle while wearing full uniform. 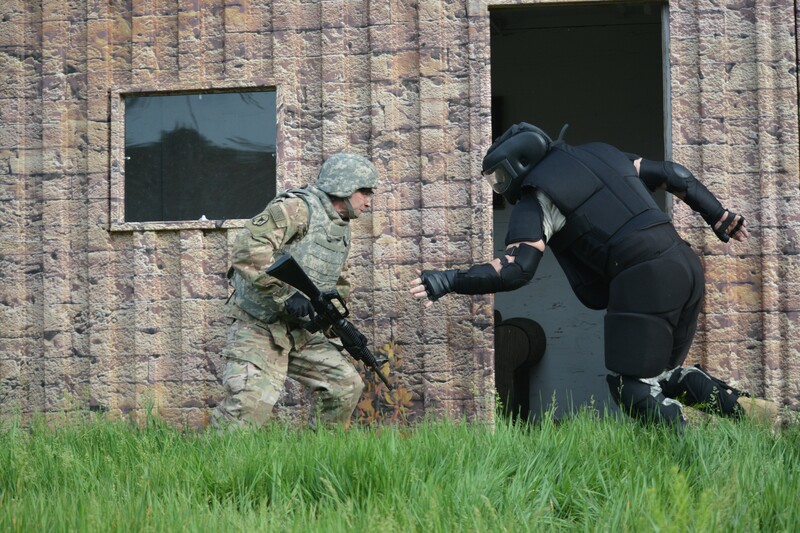 The third day began at an urban warfare center and ended with a board of sergeants major who tested the competitor's general military knowledge. Command Sgt. Maj. Anthony Bryant, ASC, said the competition helps the Soldiers become better leaders by placing them in an environment where they can test their limits. "This is not a competition for quitters," he said. "Here they're given the opportunity to do the best they can. They're pushing themselves as hard as they can push and that's the leadership trait they will pick up. They will then go on to instill in all Soldiers a 'we never quit' mentality." Prior to announcing ASC's Best Warrior, Bryant told the competitors, "It's not going to get any easier, it's only going to get harder at each level. But, even those who don't make it to the next level are still winners because I haven't had a Soldier quit on me yet. They're all winners just for showing up for this." 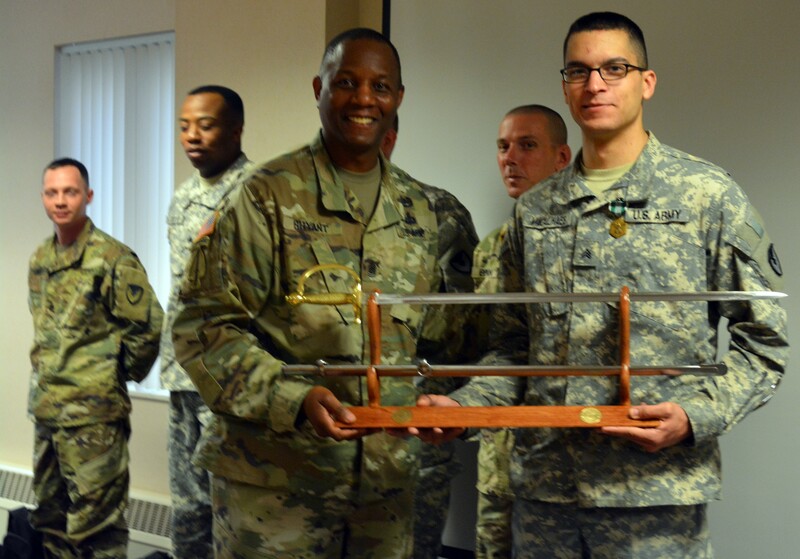 After three days of being pushed to their limits, Bryant announced Magalhaes as winner of the competition and ASC's NCO of the Year. After completing day-two's ruck march and pool event, Bryant told Magalhaes, a chaplain's assistant with the bible verse Matthew 17:20 tattooed on his arm, that he never seemed to run out of energy. "It's not energy sergeant major," he said. "It's spirit, and my spirit shall not be broken." The verse on his arm says if your faith is even as small as a grain of mustard seed, it will be enough to move mountains. 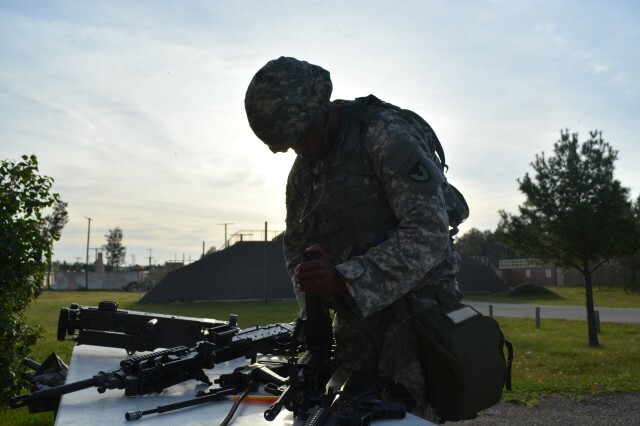 The winner at the AMC Best Warrior Competition will compete at the Army Best Warrior Competition at Fort A.P. Hill, Virginia, Sept. 26-Oct. 3.